Most girls are big fans of bedtime stories. This is not surprising as it is always good to hear stories of magic and mythical creatures before drifting off to dreamland. Young girls also don’t tend to care about the piece of literature as long as the story involves fairies helping princesses or damsels in distress who will live happily ever after. Note, however, that not all stories involving magic are fairytales. There is a difference between a folk tale and a fairytale. Kids, of course, wouldn’t appreciate the variation, but as teachers and literature experts, it is always a must to draw the line between the two. Some say that all fairytales are folk tales, but not all folk tales are fairytales. This is a bit of an oversimplification as these two differ greatly in structure as well as characters. 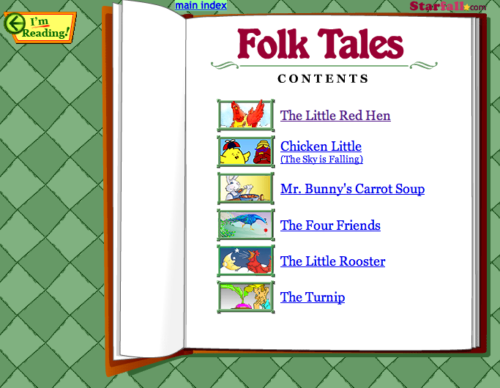 A folk tale is a story with origins rooted in what is coined as oral tradition. This means that the story has been orally passed from one generation to another. 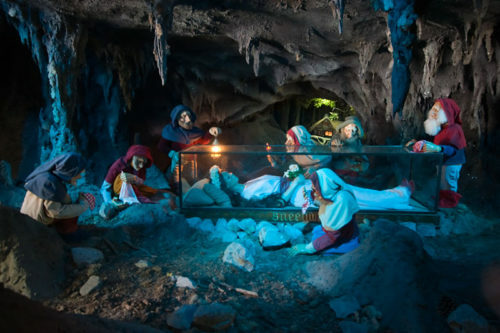 Since folk tales rarely have written accounts, the story can have added or eliminated elements as they are retold from the perspective of a particular teller. Today, folk tales have already taken a written form. A fair tale, on the other hand, also takes its roots from oral tradition, but involve magical creatures such as dragons, ogres, witches, and unicorns. While a folk tale derives its story from real-life phenomena, fairytales are made up. Simply put, a folk tale is a story with a basis in events that are true-to-life, while fairytales are works of fiction. Both fairytales and folk tales are instructive; they leave the reader or listener with a few lessons. They also warn readers about the possible outcomes of a particular behavior or attitude. These stories tend to revolve around a major character that experiences pain and suffering but survives thanks to finding a way to make things right. Traditional folk tales and fairytales are made for entertainment purposes, but they can sometimes be a bit scary; these makes them effective in instilling manners and values in youngsters. The major character reaches resolution in a different way in these two types of literature. In folk tales, the characters resolve conflict using their human capacities. The characters are usually based on societal stereotypes and can take on the guise of a stepmother, evil stepsisters, kind, loving fathers, fair maidens, etc. The conflict then arises in a human vs. nature, or human vs. human form. Thus, the characters survive through carefully planned strategies that reflect real-life situations. The princesses in fairytales are usually helpless; they can only be freed with the help of fairies and other magical creatures. The conflict takes the form of human vs. magic and, thus, can be resolved only by magic. In a nutshell, in folk tales, conflict usually arises between the major characters and the minor characters, and is actively resolved by both. In fairytales, major characters are are simply passive and subject to sufferings usually resolved with the help of the minor characters, who usually happen to be fairies and other mythical beings. From a narrower and more modern view, fairytales can also be referred to as stories more inclined towards aristocracy, as modern fairytales use princesses and princes as major characters. Folk tales are usually centered on commoners, with a story derived from cultural practices of the folk tale’s origin. 1.Folk tales are orally transferred from one generation to another, while fairytales are written literature. 2.Folk tales reflect real-life events, while fairytales involve magic and mythical creatures. 3.Both types of literature are instructive. 4.There is more active conflict resolution in folk tales than in fairytales. 5.Fairytales are more aristocracy-inclined than folk tales. Celine. "Difference Between Fairies Tales and Folk Tales." DifferenceBetween.net. May 22, 2017 < http://www.differencebetween.net/miscellaneous/culture-miscellaneous/difference-between-fairies-tales-and-folk-tales/ >.